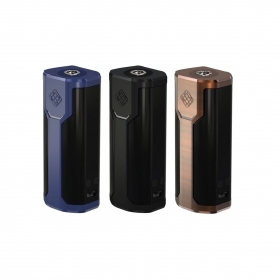 A sleek single 18650 mod with OLED screen, centered 510 connection and 80W max output, the Sinuous P80 is extremely compact and yet manages to retain most of the features of its larger sibling, the Wismec Predator. Note: This device requires one 18650 battery to function. Batteries are sold separately.